InterpreterLine – Miton Systems Ltd.
MITON’s InterpreterLine platform, provides the framework to enable companies that offer interpreting to set themselves up as a translation agency or language service provider, so that they can manage and operate a telephone interpreting service in a competitive manner. If you are currently using one of the large service providers to provide your clients with a telephone interpreting service, then by using our intelligent online platform, with your own interpreters you can by pass them and run a more cost effective business. With a low investment to get started, this product can significantly reduce your internal administration overheads and puts you back in control, connecting your clients with a qualified interpreter in seconds – and we help you with the process. If you already have interpreters that are currently providing face to face, you can use these interpreters, via our system to provide telephone interpreting. The platform processes millions of minutes per year, trouble free – a reliable technology – your clients and customers don’t need any special equipment to operate the service. Calls are processed automatically and faster than an operator could facilitate and of course operates 24/7. 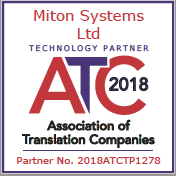 Using Miton’s InterpreterLine platform means you can concentrate on operating your business and leave the technology to us. Call or email Miton today on +44 1923 286501 and tell us what you want. We can send more detailed information and/or set up a demo so the you can try before you buy. Professional & Reliable – Fully-automated telephony platform ensures minimum time-wastage and maximum efficiency, leading to improved profit. Ease of Accessibility – available 24 hours a day, 365 days per year and covering as many languages as you wish to include. Minimal Administration – designed to operate with the minimal of operator involvement. Client Access can be un-managed, or Operator managed. When un-managed, client inters PIN code followed by language code and it then automatically connected to the next available registered interpreter. When managed, the operator controls the flow of calls using an intuitive Web browser-based interface. This means the Operator(s) can be office or home based. Cost Effective – Use either our on-line service or purchase your own customer site equipment. Interpreter and Operator Efficiency Monitors – enables you to monitor and therefore manage the efficiency of your Interpreters and Operators. Customisable to fit your specific needs. Administration Interfaces let you manage the commercial aspects of your business, including customers and Interpreters. Automate the identification of available interpreters for the requested language and automatically launch a call to them. 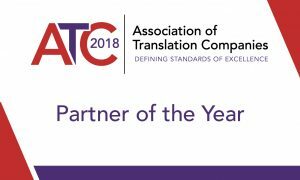 Automatically conference the client, interpreter and operator together. Once the Operator has confirmed the service is proceeding satisfactorily then they are at liberty to leave the conference while the client and interpreter continue to be connected. The Operator is then free to handle further calls from clients. The application will continue to monitor the call and when complete will collect call details for billing purposes. Billing reports to a fraction of a second are produced by the system. Telephone Interpreting Solutions, Audio Conference Bridges and specialist Telephony Products.